MEDITERRANEAN SEA - MARCH 16: An unidentified passenger walks along a corridor of the Costa Concordia cruise ship on March 16, 2011 in the Mediterranean Sea. 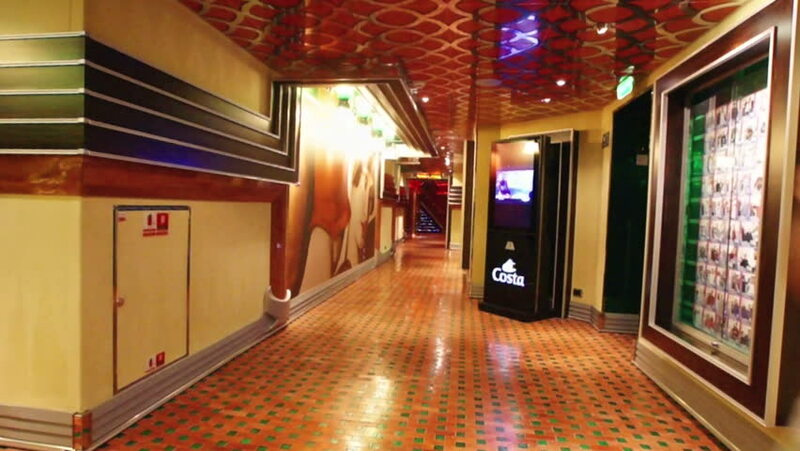 The Costa Concordia cruise ship ran aground and sank on January 16, 2012.
hd00:08MOSCOW, RUSSIA - OCTOBER 28, 2015: Interior view of famous Hard Rock Cafe. Hard Rock Cafe Inc. is a chain of theme restaurants founded in 1971 by Americans Isaac Tigrett and Peter Morton in London.